Trying to eat healthily? That doesn’t mean you have to avoid the food court at your local shopping centre… but you do need to make good choices. As fans of great food courts will attest, not everything on offer is a kilojoule fest. Here’s what to embrace and what to avoid when the hunger pangs strike. If you look carefully at the menus at most burger joints, you will find that there are a range of healthy choices to be had. Instead of ordering a burger with the lot, which will cost you 1075kJ, settle for a simple, satisfying Caesar salad without chicken, which is worth about 380kJ. Feel even more virtuous by ordering the dressing on the side, as a small splash of this high-fat ingredient gives you about 95kJ per tablespoon. 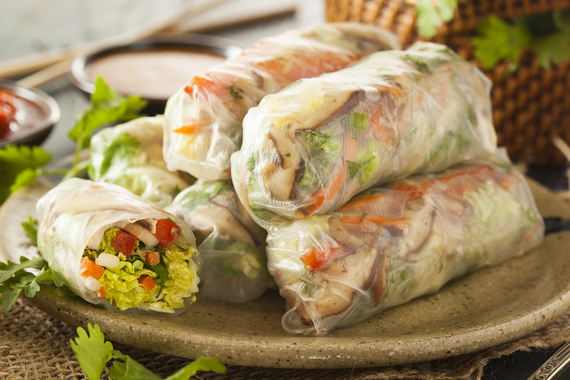 Instead of ordering something fast and fried to go, linger over a comforting bowl of tom yum goong or a trio of fresh and healthy rice paper rolls filled with raw vegetables and steamed chicken. Find a food-court superstar that specialises in salad and lets you filter by nutritional requirements – think dairy-free, high-protein beef and sesame grain bowl, or a low-GI soup like sweet potato, broccoli and ginger. All fast-food chains display nutritional information for their food. 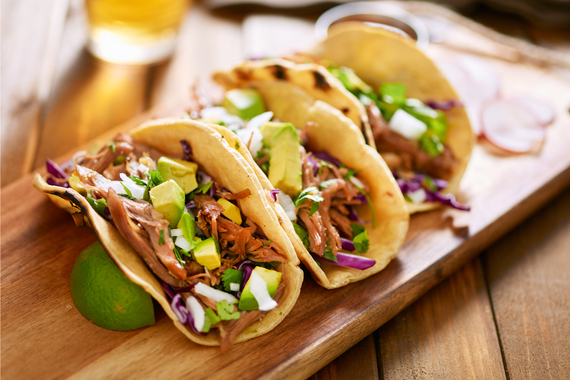 Let that information guide your choices when it comes to ordering Mexican. 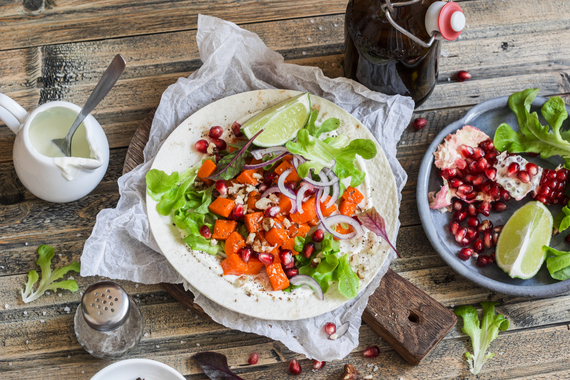 Many Mexican eateries let you design your own toppings, which is great for making good choices as your meal can be customised to suit your dietary needs. Choose grilled chicken over fried, select a few small tacos over a burrito, ask for sauce on the side and say ‘No, gracias’ to queso (cheese). As fans of great food courts will attest, not everything on offer is a kilojoule fest. It’s easy to keep your kilojoules to a minimum when ordering off a Middle Eastern-style menu. Although falafels are made of chickpeas, they are deep-fried and contain about 250kJ each, so exercise caution. Bring a friend and share a main of skewers of chicken, and lamb with tabouli on the side. Note: a large pita is about 690kJ, so ordering a side of pickled vegetables instead will serve you well by keeping your kilojoules to a minimum. Not all sandwiches or wraps are created equally. For instance, a large roast beef sandwich can rack up 2600kJ of your daily recommended intake (an average woman needs to eat about 6300kJ a day for weight loss; an average man needs around 8400kJ). If you are craving carbs, have an open-faced sandwich on rye or a light wrap and choose toppings with texture that will satisfy your tastebuds. Choose fresh vegetables as your filling rather than high-fat meats like bacon, and avoid fatty condiments such as mayo. We are a nation of coffee drinkers. Instead of ordering a full-fat latte, why not try a long black or a cold-drip coffee? Skip the soft drink – which can include up to 11 grams of sugar – and order a fresh-brewed unsweetened iced tea instead. A pot of green tea is another great option as it reduces cravings and hunger and cuts blood sugar levels.